Columbia Police Chief W.H. ‘Skip’ Holbrook announces that the Traffic Safety Unit (TSU) continues to investigate a fatal pedestrian collision that occurred yesterday at the intersection of Duke Avenue and Lamar Street. As a result, the 3-year-old victim, identified by Richland County Coroner Gary Watts as Jayana Summers died from blunt force trauma after being struck by a vehicle. Her 23-year-old mother was also injured during the collision and is currently at a local hospital for her serious injuries. 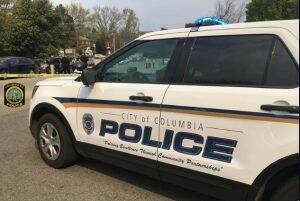 CPD officers responded to the 900 block of Duke Avenue shortly before 3:00 p.m. on Thursday, March 21, 2019. The preliminary investigation indicates that a Dodge Avenger was traveling eastbound on Duke Avenue as the victims crossed the roadway. When they made it to the other side, the vehicle struck them before crashing into a utility pole. The male driver was immediately detained on scene. Officers conducted a field sobriety test and toxicology tests are pending with the South Carolina Law Enforcement Division (SLED). Preliminary indicators suggest fatigue may have been a contributing factor in the collision; the cause of the incident remains under investigation. Traffic Safety Unit officers will discuss the facts of the case with the Fifth Circuit Solicitor’s Office.